Emails are the fastest means of communication! This is what we studied in our childhood. And how true! It indeed is. Today, no one can imagine living without an email ID. No work can be completed without the use of emails. Whether it be a job application, or inviting your friends to a party. This culture of emails has opened up a lot of loopholes which can be exploited by the online scammers to gain monetary or other profits. Scammers these days have been employing new tools and methods to ruin common netizens’ experience of the web. 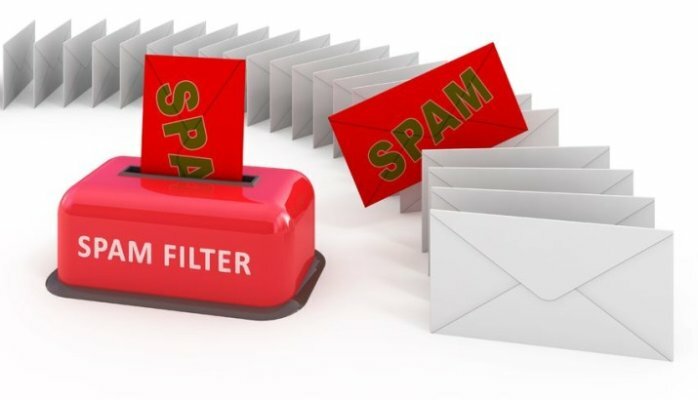 Thus, in this article, we shall be enlisting some common email scams to make you aware of them and the methods to stay protected. Phishing attacks are when an email is sent to you containing a link to a webpage which looks strikingly similar to an authentic webpage. And once you put in your private information such as login credentials, credit card numbers then such data are stored in the depositories of such scammers which can be used later to give action to their malicious intent. In order to avoid such attacks, recheck the URL of the webpage you’re accessing. If you observe even a slight difference, then close the tab and thank the almighty. Think twice before divulging your personal information on any webpage. Do not download any attachment until you’re 100% sure about the authenticity of the sender. Enable 2-factor-verification for websites which allows so. You might have come across an email stating that you have inherited millions of dollars of a ‘Nigerian Prince’ since he died in a plane crash. Such emails are called “419” emails or Nigerian scams. The poor English in such emails is the first giveaway. However, many newbies on the internet including the senior citizens give into such emails and fall for the trap. Through their sweet talks, they will coerce you into depositing few thousands as the “transfer expenses”. And you guessed right about what happens next! Avoiding such scams are simple. DO NOT RESPOND TO SUCH EMAILS seems to be the only solution. If you have responded out of curiosity then do not send your personal information and do not deposit any amount that they ask you to do. Online scammers are smart enough to create a program that can send your banking information as soon as you conduct a monetary transaction over the internet. Such programs or viruses can be attached to the emails as a picture or video or other executable files. And once you click onto it, it latches on to your system and gives out the required information to the hacker. Updating your OS as well as the antivirus on your system is the key to avoiding such attacks. Scan all your attachments in your emails for viruses and malware and if anything looks suspicious then do not click on them. If you do, then you stand the chance of losing all your hard earned money. Similar to the Nigerian Prince scam, lottery scams, too, are rampant. Needless to say but such emails are fraudulent and believe me, no one is going to give you even $5, forget about the $5 million you just “won.” This is another tactic of collecting your personal information and gaining monetary profit through the “processing fee”. The solution is simple. Do not fall into the trap. Report such emails as spam and block the email address from sending you such emails again. The advent of technology has made the scammers, too, advance. Above tactics employed by them have been successful for them for a very long period. It’s easy to fall into their traps if you’re not aware of such scams. But once, you’re aware, make sure to not fall or any of the above. Keep your eyes open for any scandalous emails and follow the suggestions given above to avoid the catastrophe. This entry was posted in Cyber Security, Data Breach, Hacking, Malware, Security and tagged email scam, phishing, virus. Bookmark the permalink.